While still feeling inspired one of the things I wanted to take upon was to start blogging. Blogging not just for the sake of blogging, but to share interesting tips, facts, articles and stories. Exactly one month ago I was back home to my usual tasks, but with a sense of inspiration and pride. A feeling that still burns deeply, and will linger for quite some time. As I wrote on the group’s facebook page while feeling melancholic at San Diego’s airport “If there are things in life which you can call life changing, I can without a doubt say that this experience was. Never imagined I’d have that feeling which you get when you can’t let go of something, but leaving was! Each and everyone of you will always have a place in my heart and mind.” This is how I felt after being part of the Hansen Summer Institute 2014 fellowship programme. 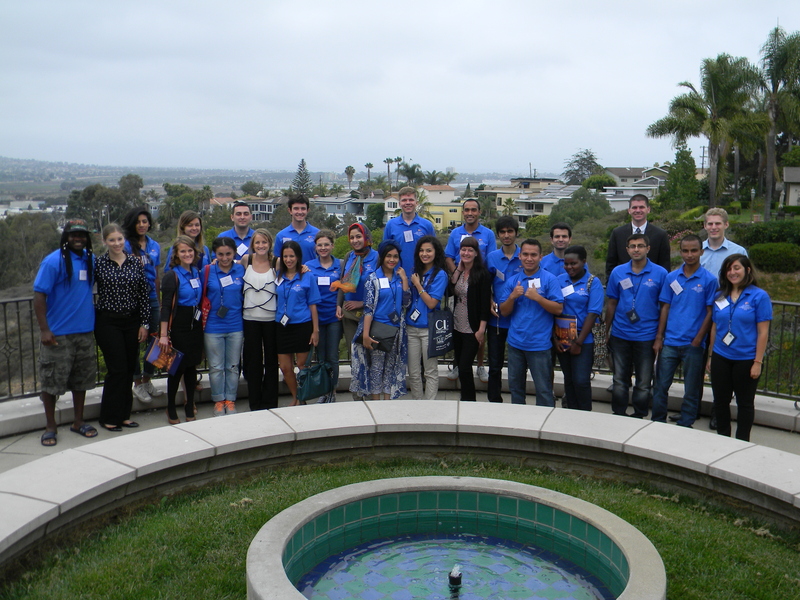 The Hansen Summer Institute on International Leadership and Cooperationprogramme was held at the University of San Diego, and brought inspiring people from different continents. The participants came from a total of 16 different countries: Russia, Ukraine, Georgia, Azerbaijan, Bosnia and Herzegovina, Nepal, India, Indonesia, Pakistan, Israel, Egypt, Malawi, United States, United Kingdom, Mexico, and of course my very own awesome country Belize. We also had two amazing assistants in the programme, one from France/Cameroon and Mexico, which added another blend to the mix. These participants were chosen because they were the best of over 900 applications, they showed that burning desire that leads to change for the betterment of our countries. They were inspirational, motivational, aspiring, and true leaders who wanted more than just the little that is presented before us. They aspire to inspire, and inspire to aspire. We had one goal and that was bringing the world towards world peace. You may ask how can a small group of people from very few countries bring world peace? I answer to all those who have asked that question before, I alone cannot change the world but by sparkling a change in each one of you to want a better tomorrow is a start. A start to want better, a start to want change, a start to want world peace. If each one of us was able to see the different worlds we live in and understand the different hardships people from different places go through, you would want to make it different. Each one of us has our own battles, and our own struggles but because we want a change for a better tomorrow we strive to make it better. Change doesn’t start from the top, it starts at home, it starts in the community you live, your country, and until you keep on spreading it like wildfire. Thus, I’m more than a hundred percent sure that each person who participated has a stronger drive for change. The overall package that the Hansen Summer Institute brings is infinitely invaluable, no words, no actions can express how truly amazing the entire programme is. It heavily involved lectures by amazing professors, seminars, workshops by re-known people, and exclusive opportunities to have some of the most amazing time. These brought the best in each and every participant, from humorous jokes together with the group to some of the most personal stories which brought tears to our eyes. At first we may have been complete strangers to one another, but day by day we built a stronger bond. A bond that allowed us to express ourselves as an individual and our personal stories; it’s not everyday someone is able to express some of our deepest stories that touches others. But strong mentors, and teachers allow us to do that. I could have not asked for a better birthday present this year, did I mention I flew in to San Diego right on my birthday? Thanks to Bonnie, Ron and the group there was plenty of delicious cake to have around like for a week until Anya finished it all I could go on writing a million words about how awesome the entire experience was, but If I had to some it up all it’s that the Hansen Summer Institute 2014 fellows, including Bonnie, Ron, and all those who had an impact are my new family. Memories cemented, lessons learned, and experiences to remember. I now look to venture in my social entrepreurship project this upcoming month which was also one of the many merits of the programme. A huge thanks goes to Bonnie, Ron, and all the organizers of the programme, without them this experience would never be possible! !